The offer of a place at the School is made on the basis of the candidate’s performance in the appropriate examination or test. Candidates are also interviewed, either at the School or by our representative in the candidate’s country of origin. A confidential report will also be requested from the head of the candidate’s present school. Offers are made on the basis of the School’s Standard Terms and Conditions, a copy of which is sent to every offer of a place. The offer of a place at the School is made on the basis of the candidate’s performance in the appropriate examination. Candidates are also interviewed, either by the Head of Upper School or by our representative in the candidate’s country of origin. A confidential report will also be requested from the head of the candidate’s present school. Others are made on the basis of the School’s Standard Terms and Conditions, a copy of which is sent to every offer of a place. At junior levels, all candidates are assessed by a combination of written exercises, practical tasks and an individual interview. At all other ages, candidates who show promise in the written papers are invited to attend an interview shortly after the examination. Our aim is to provide a friendly atmosphere for the interview during which the candidate will be allowed the opportunity to give further evidence of his academics strengths and some indication of interest and abilities with which he might make a contribution to the general life of the School. The curriculum of a school consists of all the activities from which students learn. This part of the supplement is primarily concerned with the lessons students will attend. 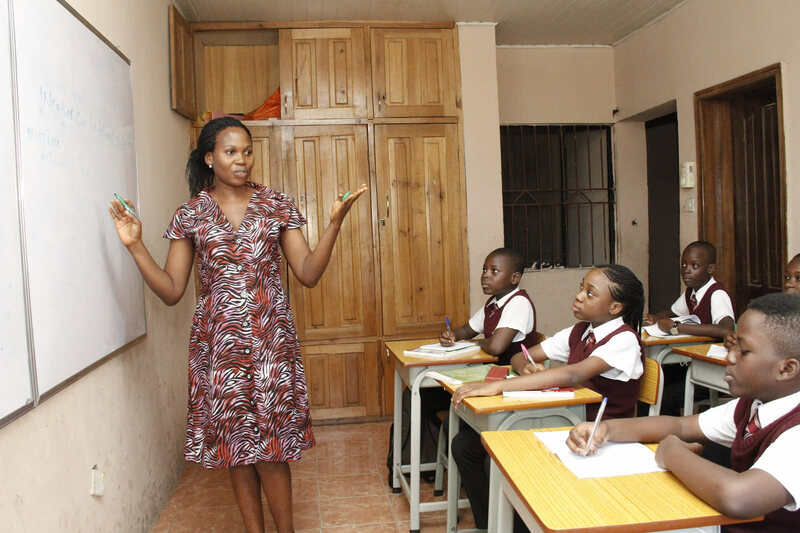 At Gapbridge, we offer an integrated Curriculum of English National (British) and Nigerian Curricula which caters for Checkpoint, JSS, IGCSE, SSCE, A level exams and Foundation programmes. 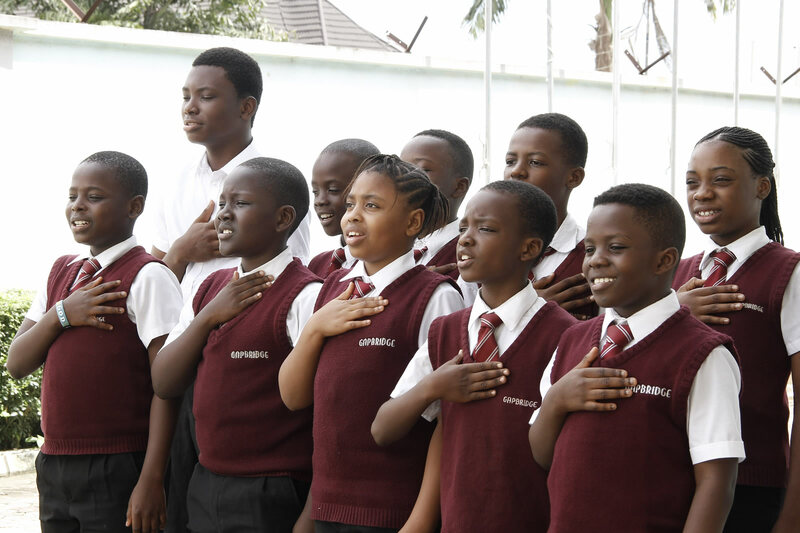 The Gapbridge school system is British (English) National Curriculum integrated with a flavored Nigerian Curriculum being the curriculum of our immediate environment. The basic aim of our time-tabled curriculum is to develop students’ knowledge and skills; and their understanding of concepts, attitudes and confidence. We seek to provide a secure, yet challenging environment which encourages participation, curiosity and enquiry. In designing the curriculum we identify five key factors which address these objectives. Balance students develop in all the above mentioned areas. Relevance student will see reasons for learning. Flexibility the higher the levels of the school, where they must eventually specialize, students will be offered a wide choice of subject combinations. Resourcing students are taught in groups suitable size in appropriate accommodation by well-qualified teachers supplied with all the necessary aids, equipment and apparatus. While we rightly attach importance to a student’s intellectual development, we are also concerned with his/her personal qualities, which we seek to develop through every facet of activity at the School, in and out of the classroom. The curriculum is reviewed annually and is therefore subject to change. All students are set homework on each of the five school days. For the youngest students the homework should be about one hour in Year 7 and one and half hours in Year 8 and 9. The homework expectation increases to two hours in the last two years to IGCSE. In the Upper School homework averages two to three hours each evening. All our students have mentors to monitor them daily. DAY HOUSES AND GAMES: All students (whether day or boarders) are allocated one of four houses, each of which has house Masters. 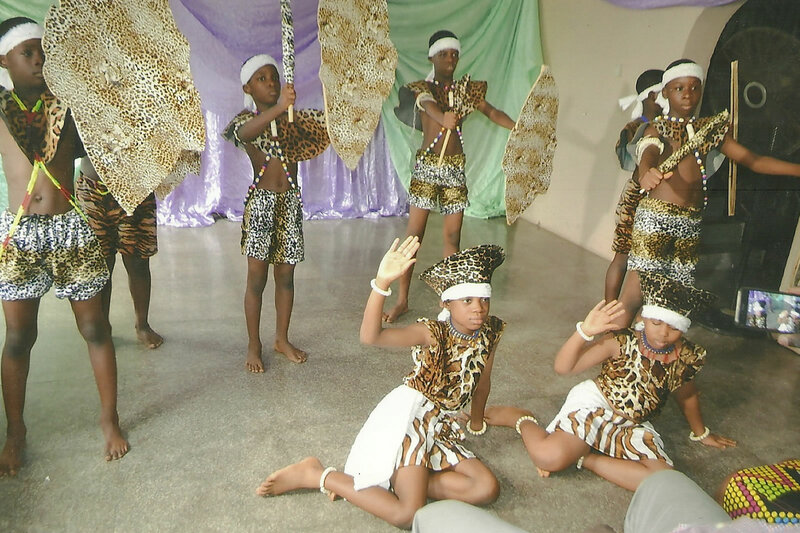 There are inter-House competitions in numerous sports and cultural activities including music, dance, drama, art, chess and debating. Games take place as a timetabled activity and are compulsory for all students who are physically fit. All forms in each Lower School year group follow a curriculum comprising the subjects listed below. In addition all students have two double period of Games. 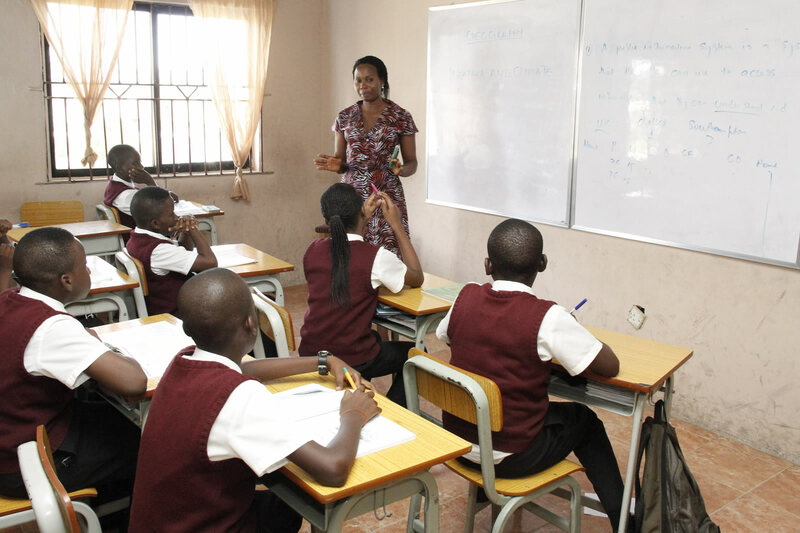 All students will be taught Physics, Chemistry and Biology as separate subjects at the Junior & Middle levels (7-9). Plus One of German, Spanish, French. There is one Games afternoon, and a Physical Education period. We have football academy-Gapbridge Rangers practise twice a week to build them up for football competitions with other schools. 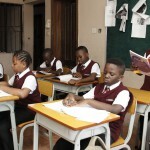 The students will sit for the CHECKPOINT examinations at this intermediate level; examination is marked in the UK through the examining body in Nigeria, British Council. 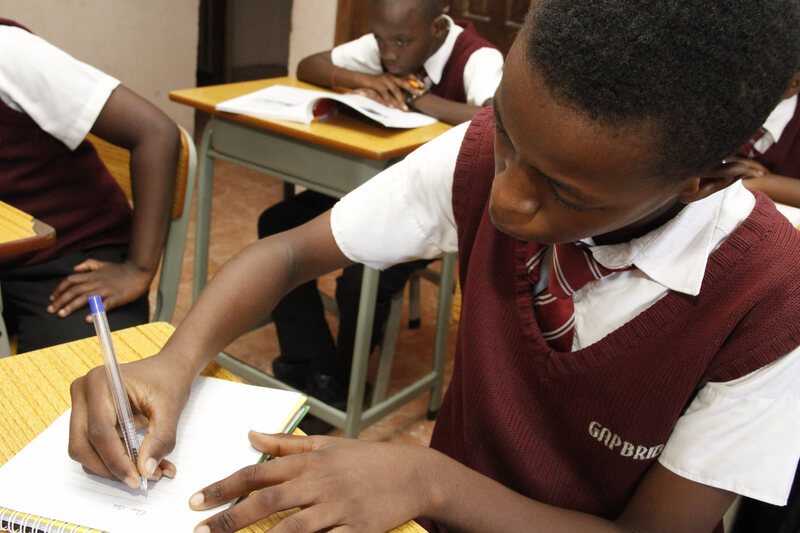 Checkpoint exam is on three (3) subject areas Mathematics, English and Science (Biology, Chemistry and Physics). 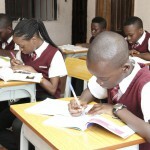 The student will also sit for JSS 3 (BECE) examinations based on choice of parents either to sit for one or both examinations i.e. Checkpoint and JSS 3 exams at this level. These years provide the final preparation for IGCSE examinations. The scheme of subject choice allows considerable flexibility and is designed to provide students with a wide choice of post-16 courses. In addition to lessons in examination subjects, students have one Games afternoon and one period of Physical Education. There is also a PSHE course. Additional Mathematics and Literature are compulsory In Year 10 for students. 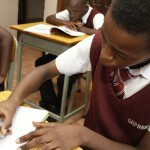 We equally prepare students for SSCE (WAEC). 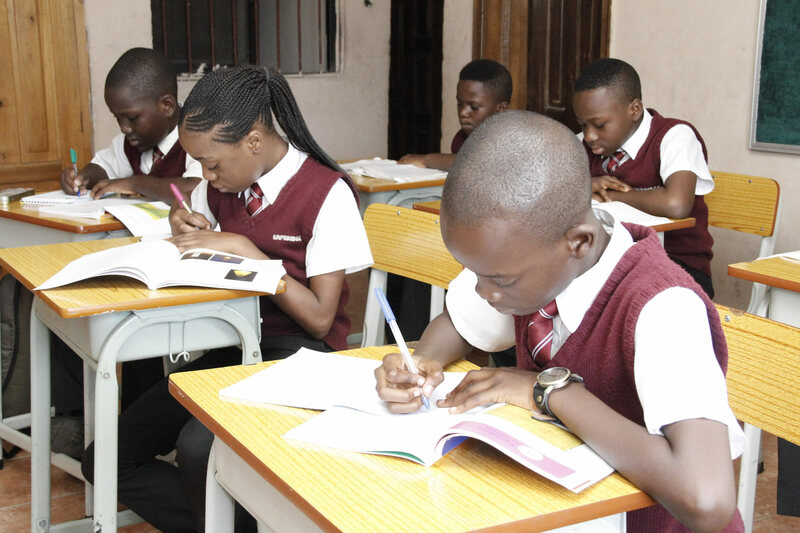 Students doing this will sit for the examinations in Year 12, which will also be their A level class, while IGSCE examinations will be done in Year 11. 9 months preparatory class for IGCSE. School placement abroad to Canada, USA, UK, Sweden, Austria, and Caribbean (Medicine) Colleges and Universities. POCKET MONEY/TUCK SHOP: Parents can make a deposit of N15,000 per term for tuck shop, Sunday offering, barbing etc (students in the boarding house). Total reduction will be given at half term to know each student’s balance. 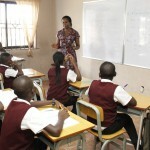 Students cannot spend more than N250 (two hundred and fifty naira only) daily. Chess & other indoor games. 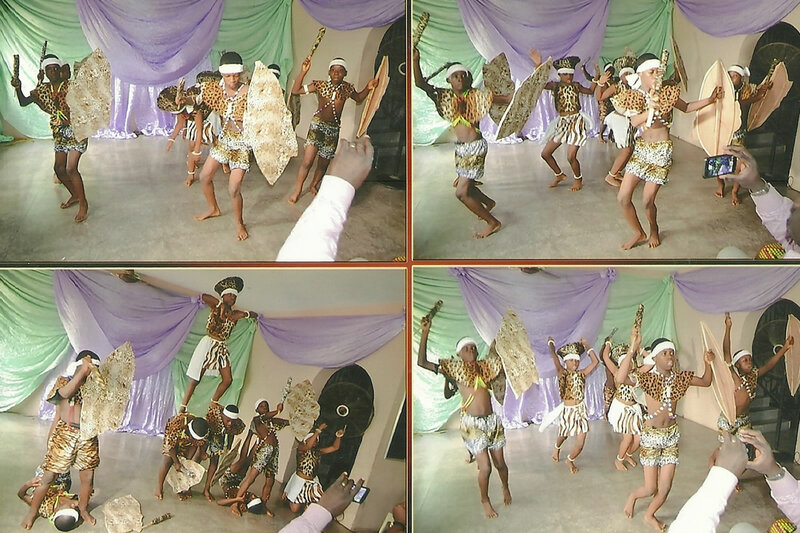 EDUCATIONAL TOURS: Each term educational tours will be arranged for all our students within Lagos and its environment, this is compulsory; while the end of term tours outside Nigeria will be optional. 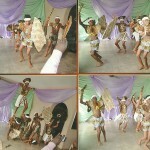 The school will take students to Ghana, South Africa, Dubai, UK, Canada, USA, France, Seychelles etc. International trips are only available for EASTER & SUMMER TERMS. Within Lagos, tours fees will be added to every terms fees, while the international tours bills will be paid at the end of first half of each term for adequate preparation. PICK UP/DROP OFF SHUTTLE BUSES: There will be bus shuttle for day students; payment will be made first day of term to avoid disappointment. All the available routes will be made known prior resumption date. INTER-HOUSE SPORT: Inter-house sport for the school will be once in two years to enable proper planning. TEACHERS APPRECIATION DAY: All teaching staff appreciation day will be at the last day of the school calendar year. On that day, students will appreciate their teachers through a token gift, organized talk show, speech, and other entertainment to show their appreciation. The best teacher for the year will be nominated and be presented a gift by school authority. MUFTI DAY: A day will be chosen to visit the motherless babies’ homes termed the Mufti Day. Each student will pay a token of N1,000 (one thousand naira only) to enable them be in mufti to visit the homes chosen. This will come up every Easter Term; the actual date will be given in the school calendar. All proceeds from the levy will be donated to the homes. PARENTS’ INVOLVEMENT: Parents are always welcome with ideas to participate in our assemblies each week. DISCIPLINE: Discipline is a key thing at Gapbridge. We have a guided rules and regulations for either the day or boarding house students. Students that cannot comply with our boarding rules are ejected from the boarding immediately. FOOD ALLERGIES: Only students that are allergic to certain food items are given other options of food being served. This must be backed up with a doctor’s report from a reputable hospital and parent and student must notify school authority during admission processes but not after. Other students must eat all food items served. VISITING DAY: Second Saturday of each month is the school visiting day, starting from 12noon to 6pm. We do not accept provision in our boarding house due to the fact that students are fed five (5) daily (Breakfast, Tea break, Lunch, Dinner & Night cap). Food items can be brought in for students on visiting day, none of the food will be allowed into the boarding house, hence parents should bring what the child can eat and finish at once. Any parent that did not come within this time frame to visit, will not allowed into the school compound on such days. SCHOOL FEES: These fees include Registration fee (non-refundable), Tuition for Year 7-9 and Year 10 &11 respectively, Year 12, ‘A’ Level and Foundation respectively, Uniforms and Books. These fees cover the use of text and library books, stationery and scientific materials and the cost of lunch, which is compulsory. The costs for games, educational tours & school magazines are not included. BOARDING FEES: Boarding fees for Full boarders, Weekly boarders and also payment for 2 pairs of House wears for each student. BOARDERS MUST SHOW EVIDENCE OF PAYMENT BEFORE BEING ADMITTED INTO THE BOARDING HOUSE IS OUR SCHOOL POLICY. DEPOSIT: A non-refundable deposit is payable on acceptance of a place at the school which is part of the term’s fees (N150, 000). The School reserves the right to review fee levels at every TWO years. 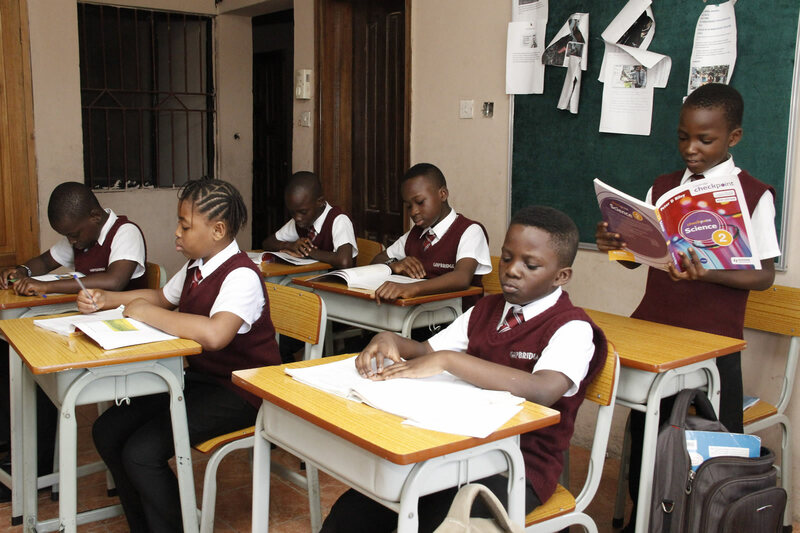 PAYMENT OF FEES: Fees are payable by Bank draft in full on the first day of term in favour of Gapbridge Private School Ltd. Parents who are resident overseas and do not have a bank account in Nigeria may pay by Bank transfer. In order to comply with regulatory requirements, the school does not accept payments in cash. The fee for a student attending the school for any part (weeks) of a term must be paid for a whole of that term i.e. once you have attended school fee for a week or more, full school fees is due and must be paid – A MATTER OF POLICY. The withdrawal of a student requires one full term’s notice given in writing to the Head of School/Principal, or one full term’s tuition and boarding fees in lieu. The school reserves the right to suspend pupils whose fees are not paid (or for whom no periodic Direct Debit arrangements have been made) by the third week of term. Parents can pay a lump sum in advance against future school fees, which results in a discount 5% on the tuition fees only. Such sums can be paid prior to entry (once a student has been offered a place), on entry, or at any time during a student’s career at the School. Parents with 3 or more children are entitled to 5% discount on the school fees on the 2nd and 3rd child per term (% on tuition only).